Working with Aruba"s line of centralized Mobility Controllers, the AP-104 deliverd secure, high-speed network services that move users to a "wireless where possible, wired where necessary" network access model. The network can then be rightsized by eliminating unused Ethernet switch ports, which reduces operating costs. 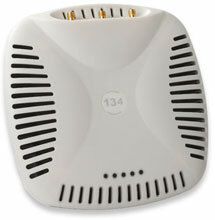 The Aruba AP-104 is also known as ARU-AP-104	or AP104	.